Mark Zuckerberg insists that he has no plans to run for the presidency. The bookies, however, aren’t convinced. On Irish gambling site Paddy Power, he’s given pretty generous odds not only of him clinching the Democratic nomination (12:1, meaning if you bet $1, you’ll get $13 back), but also of winning the ultimate prize. With 20/1 odds, Paddy Power thinks that a Zuckerberg presidency is equally as likely as Bernie Sanders winning the 2020 election, and more likely than Ted Cruz winning (who has 33/1 odds). That’s pretty remarkable, considering both Sanders and Cruz were runners-up for their respective parties’ nominations in the 2016 general election. 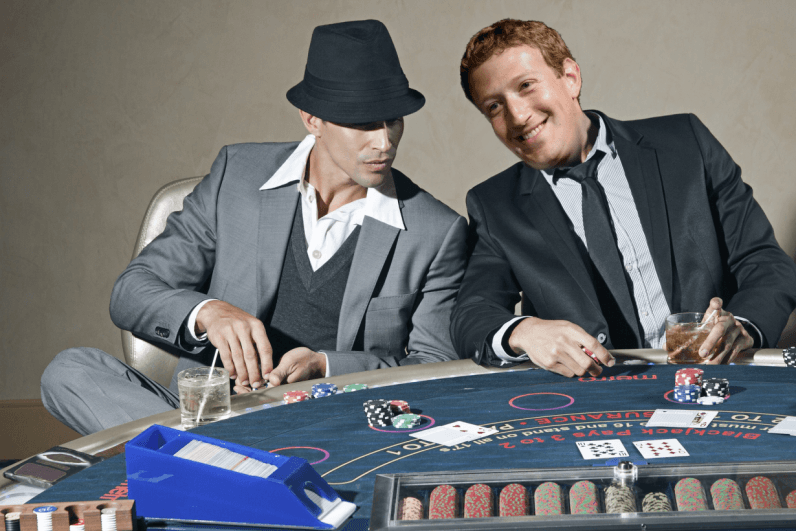 So, why does Zuckerberg have such favorable odds? I spoke to Lee Price, head of PR for Paddy Power, earlier this morning, who explained that betting markets respond to demand. If the company sees a flurry of bets for a particular thing, the odds on that will shorten considerably. “First and foremost, the reason why [Zuckerberg has such favorable odds] is because we’ve had a lot of attention from the punters,” he said. “For context, he’s around the likes of Dwayne ‘The Rock’ Johnson, who is 16/1; George Clooney, who is 20/1; and quite a way off from current-President Donald Trump, who is 5/2,” Price added. There’s another factor at play here, too. Last year was a disaster for the bookies, as three things thought unlikely to pass, did. The first two are obvious: Donald Trump won the US election (this alone cost Paddy Power nearly £3.5 million, according to British tabloid The Sun), and the UK voted (albeit narrowly) to leave the European Union. The other is less well-known. Against all odds, Leicester City — a struggling soccer team who had only joined England’s top-flight league in 2014, and constantly flirted with relegation — won the Premiership. At the start of the season, some bookies were offering odds as long as 5,000/1, leaving some fans with payouts as large as £250,000. Zuckerberg is still quite a long-shot, but his odds reflect a sense of cautiousness that suggests there’s a distinct possibility it might happen. “If Trump can get elected, can you really rule out Mark Zuckerberg?,” asked Price.